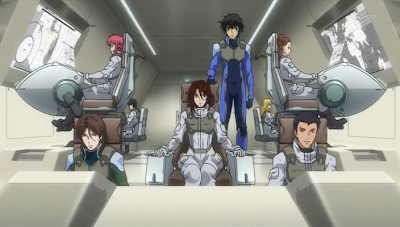 As for Gundam 00 - this is certainly the best Gundam anime in terms of productions quality... everything is awesome. 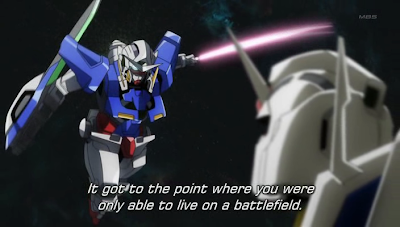 Well, technology made all this possible but somehow another reason for that is traditionally Gundam anime is a core of "money making" for Bandai and therefore they really give their best and maybe more to produce this excellent anime series. From the anime they will then produce all those GunPlas and whatever product and it's us who end up spending all the money buying them.... very good business model. 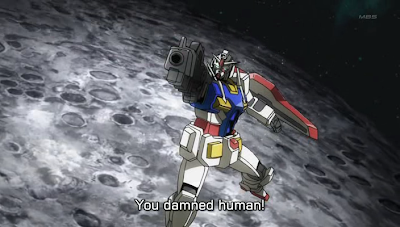 Before Seed there were 2 Gundam anime - After War Gundam X and Turn A Gundam but both of this anime failed to create the "GunPla" hype as it use to be, maybe worst. 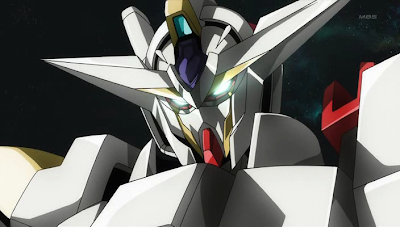 I watched After War Gundam X and IMO the story is a bit slow... at times it can be boring and the MS is not really that attractive. 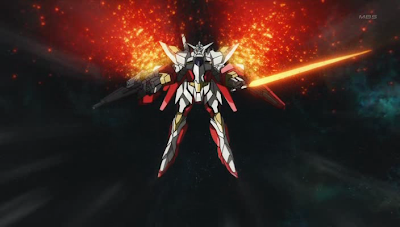 As for Turn A Gundam, the last one directed by Yoshiyuki Tomino - the original Gundam series creator, writer and director - I haven't watch them yet but I personally feel that although it use the traditional color of red, white and blue, somehow I think it is the ugliest Gundam ever for any hero in many of the Gundam anime. 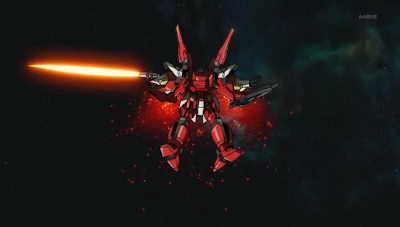 Gundam Seed managed to revive the popularity of Gundam and GunPla again and end up it is still my favorite Gundam anime. Just like the James Bond movie "Quantum Of Solace" this Gundam 00 Season 2 is indeed a fast paced type of anime and full of bursting actions from episode to episode, really breath taking and the music is superb - I like Yuna Ito and it is really a bonus for me that one of her latest song - "Trust You" - is chosen as one of the ending song for this anime. Note : Copyright owned by Sunrise Inc. and their partners and/or associates. I do not claim any rights to the above images. More importantly for me... 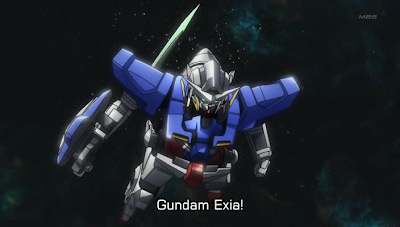 I'm so glad to have Gundam Exia in my collections now as at the end of the anime we can see Exia again finishing off one of the greatest Gundam battle I've ever seen. 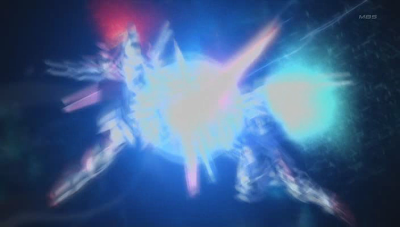 In the final episode, first we can see the battle between 2 Gundams with 2 GN Drive (Gundam 00 vs Ribbon Canon/Gundam Ribbon Allmark) and then when both Gundams suffered heavy damaged, we have another battle of 2 Gundams with Single GN Drive (Gundam Exia vs Gundam 0). At the end of first season I thought Exia will be obsolete model in the second season and that is why in fact I only bought the HG 1/144 scale kits as usually the hero of any Gundam anime will always lose their first MS and then they will get an "up grade" to a better machine later, but now that I see the Exia back in actions on the very last moment.... damn I'm proud with it... maybe instead of just buying Gundam 00, I am now already considering to buy the 1/100 HG scale or the 1/60 scale of Gundam Exia.... haven't make any decision, probably I just order the HG 1/144 scale for all 5 of them (00, Seravee, Seraphim, Cherudim, Arios). In fact I still don't have the Nadleeh from the first season yet. 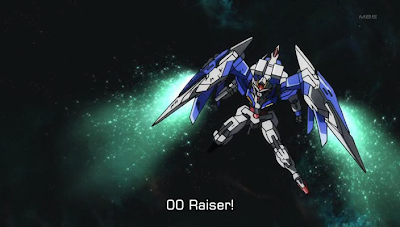 That Gundam 00 is cool but I think it is better to buy it together with the O-Raiser back pack - cost a bomb for just a 1/100 HG kit but I can tell you the quality of the Gundam 00 anime series HG is really exceptional.... sorry to say that it can beat the HGUC series easily. 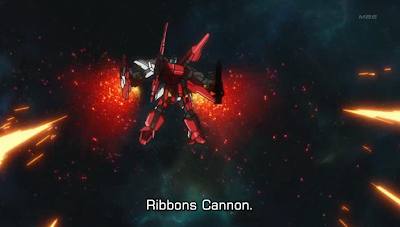 I also like the Gundam Seravee and Gundam Seraphim... In the first season Virtue is a fat Gundam which I nicknamed as Samo Hung and the Seravee is also the same concept and though I think it's a little weird at first to have that "Gundam face" at the back... but once you see them in actions... you will appreciate this fat guy. 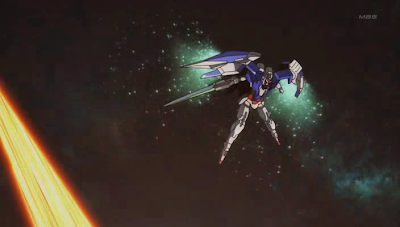 As for Arios, I think it looks almost the same as the previous Kyrios and somehow in my opinion are geared towards high mobility and it's better to have it in MA mode (jet/flight mode). 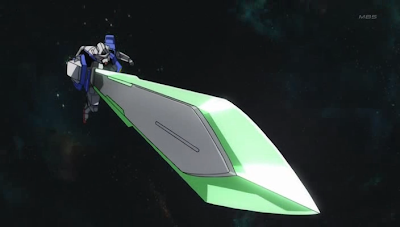 Cherudim however is indeed a much better Dynames as this time it is equipped with something similar to the Fang/Funnel/Dragoon that can perform both Defensive and Offensive duties. 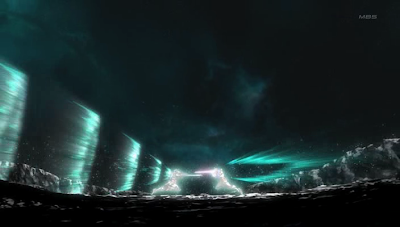 I'm glad that this time around we have less casualities on the hero team but it appear Tiera was shot dead and then his soul "united" the Veda computer system... I still don't understand that part... and I hope Alelujah survive this time around as I didn't see him towards the end of the anime. 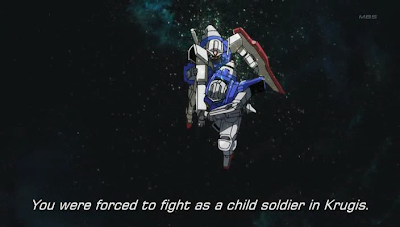 I would say that Gundam 00 have it's own unique story line and originality but additionally it also add some elements from Gundam Wing and Zeta Gundam and maybe also from Dynasty Warriors... overall it's fantastic kind of mixtures. I guess its good this way that Bandai still consider a female to hold an important role amongst the male warriors. Now I can't wait for the original DVD to be released, hopefully they released it sonnest possible. "Its easy to talk about a peaceful world where we all understand each other and go hand in hand, but we need to strive for it for the sake of the future generation"